Great grip on ice due to innovative studs. The combination of a novel, reduced-weight material and an innovative profile design leads to improved grip on ice. Short breaking distances on icy roads. Even smaller pieces of ice do not impair safe handling when they reach the contact surface. 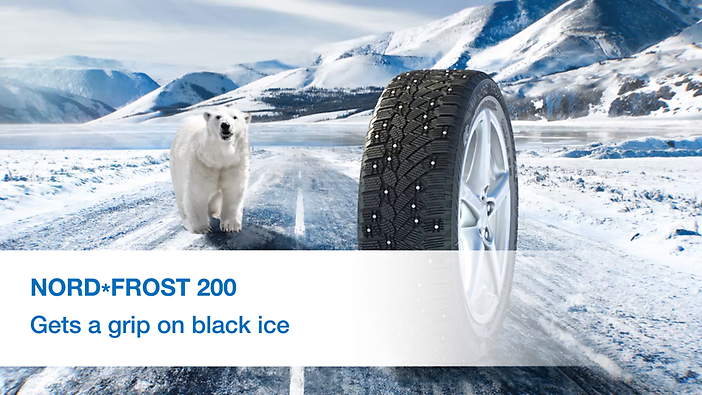 The tyre tread establishes direct contact with the icy road, and the braking distance remains extremely short even in difficult situations. 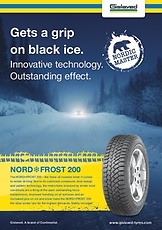 Optimal power transmission ensures very good grip and secure handling on ice, snow and a wide variety of surfaces. Tyres with high wet grip performance (A or B graded) have shorter braking distances on wet roads and are, therefore, safer in the rain. 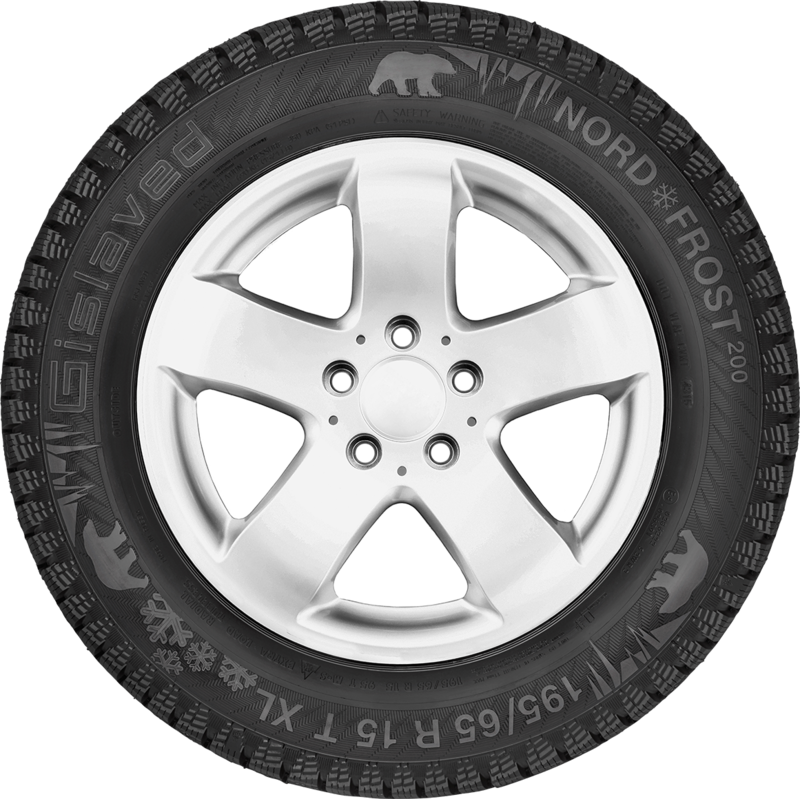 As with fuel efficiency, the D grade isn’t used and there are no plans to use G.
Tyres account for up to 20% of your vehicle’s fuel consumption so, if you want to get more miles per tank of fuel, you should choose tyres with a high fuel efficiency rating. You will also lower your CO2 emissions. 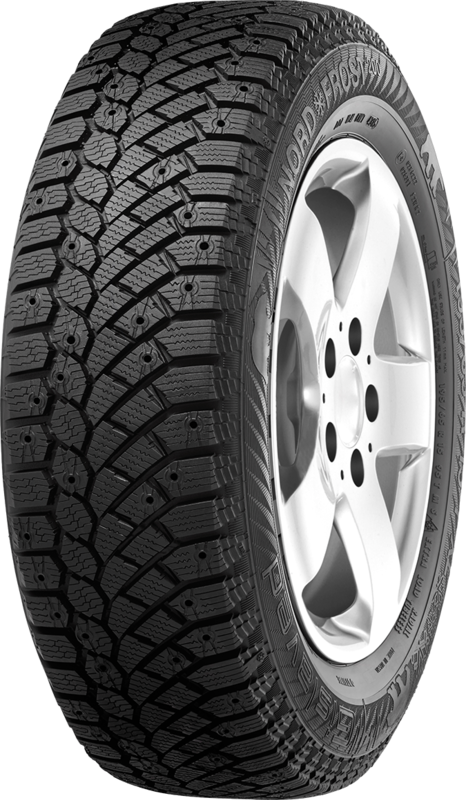 It comes down to rolling resistance i.e. the energy lost when a tyre is moving. 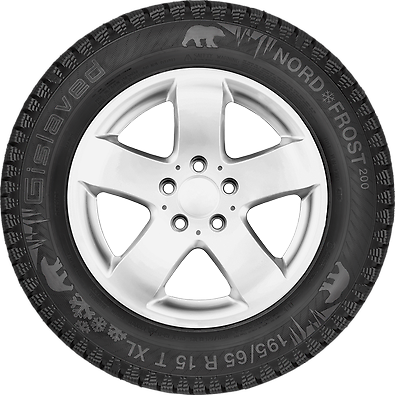 The lower the rolling resistance, the less energy is lost and the lower your fuel consumption and CO2 emissions. 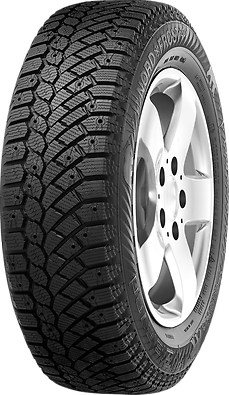 The difference between an A-rated tyre and a G-rated tyre could be as much as 6 litres per 625 miles. This is the external noise made by the tyre and is measured in decibels. The more filled bars shown on the label, the louder the tyres.